The Singulair Green aerobic treatment system incorporates Norweco's advanced aerobic treatment process into a durable, watertight polyethylene tank. It is ideal for new or retrofit applications and can be installed easily in the most difficult jobsite with just a backhoe. Incorporating patent-pending support ribs and inherently strong arch shape, the durable Singulair Green tank will provide decades of reliable performance. Designed for domestic wastewater flows up to 600 gallons per day, with treatment performance meeting or exceeding the strictest state and county requirements, Singulair Green is certified by NSF International. Singulair Green is available exclusively from factory-trained and licensed Singulair Green dealers. The right solution for one of your biggest home investments! 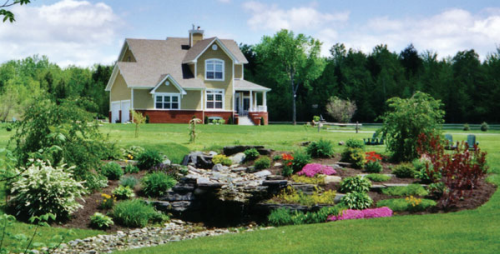 SepticPro is a full service septic system provider offering full septic system services. We conduct our business on a more personal level with our clients. We take the time to explain ALL of your options so you can make an informed decision based on your personal situation. We do not approach our clients, or projects, with a one size fits all mindset. We will find the right solution for you as an individual. We understand that you will always need septic services and we want to be there for the long term. Offering full septic services allows us to be more efficient and cost effective. Working with one company that has the experience and licensure to handle all the aspects is safer, more efficient and much more effective than working with multiple entities that may not work together on a regular basis or share the same interests. Our interests lie in the relationship we build with our clients from beginning to end and beyond. The job will be done efficiently and effectively with your best interests in mind. Our rates are extremely competitive (if not the lowest) because we know you will be back. You will always need septic system and sewer line services and we want to be your long term service provider. Our commitment is to our clients - to provide a level of service not generally associated with smaller firms that will make our clients lifelong advocates. Not all septic systems are created equal, there is a difference. At SepticPro we take a very personal approach in our designs. We will work closely with you to find the right solution for you. We will take the time to explain all of your options to help you make an informed decision.